Show students the photo to the right. 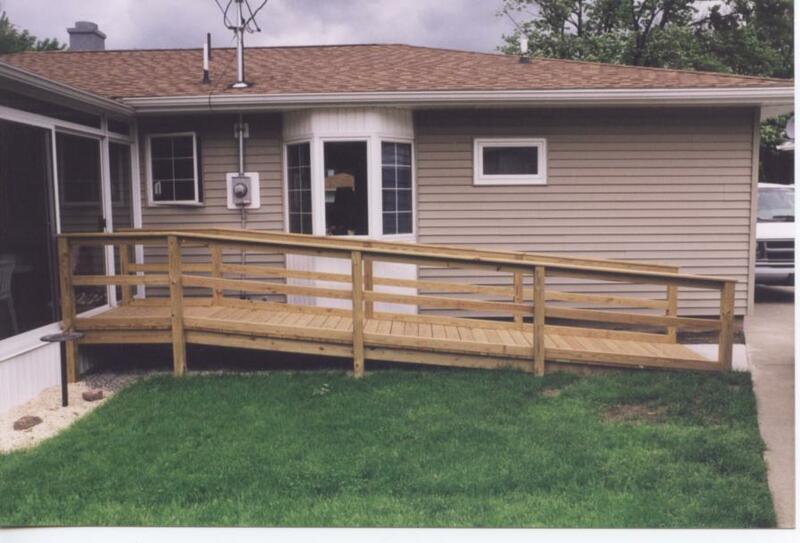 Have a class discussion about the benefits of the wheelchair ramp and what forces might come into play. Use guiding questions to have students think about how the force of gravity is acting one the ramp. After an example problem with inclined planes students will be divided into small groups. Groups will be asked to design a ramp that would be optimal for use by a person in a wheelchair. Online quiz can be used to anonymously poll students' knowledge from the lesson.